This boy came into this world with love and joy in their hearts, a blank canvas dreaming of ladybug hugs and butterfly kisses. But what happens when those puppies have lived an invisible existence - the world is a big scary place. But somehow they forgive - love can change everything. He is what rescue is all about - to teach about love, to mend the broken pieces, to be his first friend. But the reality is, his time is up and without a foster or adopter - his life will come to a tragic end. 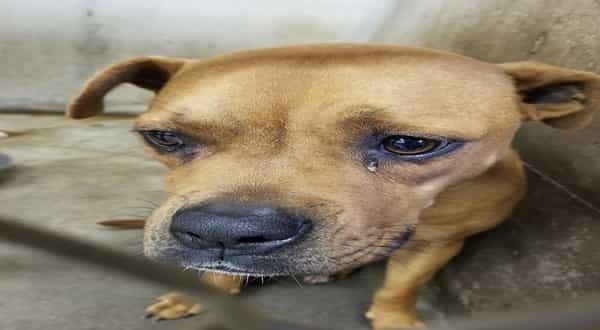 3 Responses to "1 years old puppy living at the kill shelter cries every time she’s alone"
Tagged by Safe in Texas. Thanks for posting. I already networked this beautiful baby. She is located on Big Spring Animal Facebook page. She has been pulled by rescue.